Image from the TAX SHELTER Series, 1973, edition of 175. Signed "Appel" in pencil l.r., numbered "86/175" in pencil l.l. 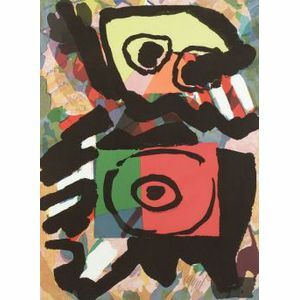 Color lithograph on paper, image/sheet size 29 1/4 x 21 3/8 in. 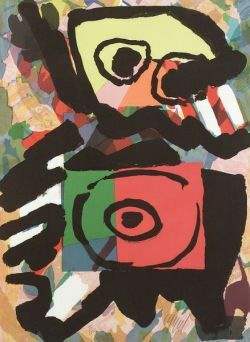 (75.5 x 54.3 cm), framed. Condition: Loose from mat, not examined out of frame.